Wilfred Ndidi seems to be able to take anything in his very considerable stride. Moving away from his family in Lagos, Nigeria, to pursue a football career against his father’s wishes didn’t faze the 6ft 2in midfielder. Neither did making his professional debut for Genk, aged 18, even though he was asked to play out of position at left-back. Leicester City, his debut in the FA Cup at Everton and his Champions League debut. The 20-year-old just smiles and shrugs when he is asked about walking out into an electric atmosphere for City’s Champions League last-16 second leg tie with Sevilla. He says he didn’t even notice the banners and flags that were unfurled all around the King Power Stadium. “It was a special night against Sevilla,” he said in a soft, understated tone. Even being picked up by his driving instructor at Belvoir Drive while his new team-mates watched on, banter flying in his direction, didn’t put him off his stride. “I know how to drive but I don’t have a licence. I need one over here,” he said. “The lads came out and took a picture of me when the instructor came to pick me up for a lesson. Ndidi may only be 20, but when meeting him it quickly becomes obvious how driven and focused he is on being a success, even ignoring the wishes of his father who wanted him to put his education before football. “My family were not really into football,” he said. “My dad watched it on the television but he didn’t want me to play football. He is a soldier, but he didn’t want me to follow in his footsteps, he just wanted me to go to school. “I did miss out on some school because of football. When I moved to Nath Boys academy then I started to miss out on some of my schooling. Ndidi impressed during a tournament in Lagos, which was attended by European scouts, but it was Genk who made the first move, inviting him to Belgium for a trial. “I remember kicking a ball around as a child but I was not in any training or anything,” he said. “I just had a very small ball and I just kicked it around by my home. “I was 14 when I joined Nath Boys Academy. We played in a competition and a scout from Genk was there. I was 16 or 17 when they came in for me. “I was offered a trial at Genk and the president of Nath Boys came with me to Belgium for the trials. Former Scotland, Rangers, Birmingham City and Aston Villa manager Alex McLeish arrived at the Belgian club and was impressed with the raw young defender, and handed him his debut. “Alex McLeish wasn’t the manager when I came for the trials, but he came shortly after and he said he had seen me in training and he liked me,” recalls Ndidi. “He is a good man. He said he was going to play me out of position. “I had come as a central defender but he tried me at left- back and then right-back. I had actually started playing as a forward, but that was before I got into serious football. “I made my debut at left-back against Charleroi and I was substituted in the 72nd minute because of cramp. “I never thought I would end up playing in midfield because I was a centre-back. I used to enjoy watching John Terry. Chelsea were my team. “My first game in midfield was after McLeish left and the new coach moved me into midfield. “I was nervous. It was all new and I felt out of position. The coach would scream at me a lot. I had to try to focus on the game and try to ignore his shouting. It was difficult for me at first. “I enjoyed it when I began to feel more settled.” His performances for Genk soon started attracting the attention of other clubs, most notably Leicester City, but Ndidi ignored the speculation. “I was not told Leicester were watching me,” he said. “I was told different clubs were watching me but I told my manager not to tell me because I didn’t want it in my head. 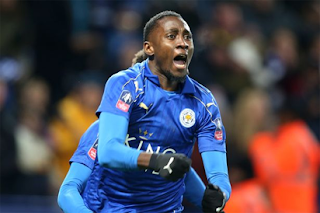 Ndidi was certainly aware of City’s achievement in winning the Premier league title, but said it had no significance on his decision to come to the King Power Stadium. As for his debut at Goodison Park, Ndidi admits to a few nerves as he realised his boyhood dream. “When I was going on to the pitch I was nervous, seeing players like Romelu Lukaku and the players I was used to seeing on television,” he said. 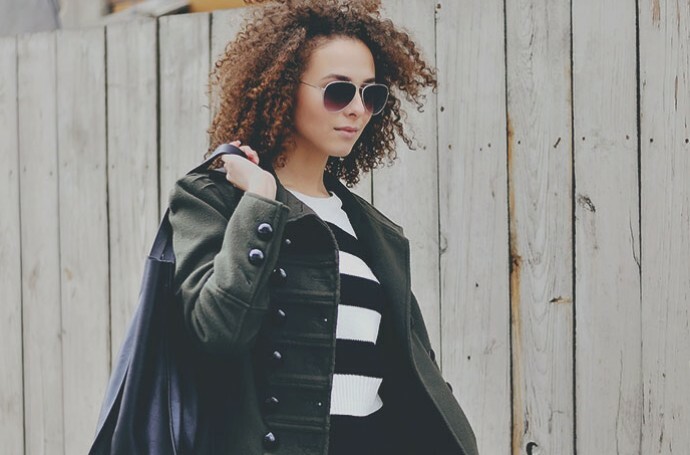 “But when the game started I was like ‘okay, let’s just do it.’ “That is how I try to do things.